What a lovely sunny morning to be gathering in the Judbury Community hall to share laughter, craft and great nibbles. Big thanks to Viv Crawford who runs the Guild Yarn store; Viv bought down several copies of the Guild’s latest publication, “The Weaving Patterns of Edward Hussey, being notes on Edward Hussey: His Patern Book, 1787” by Guild Life Time Member Mary Williams. Our Vice President, Don Waller, introduced the book, thank you Don. Read more about this book here. The Buy or Barter table featured plants, books, fleece and even a Lazy Kate. Remember – your excess item could be just what someone else is looking for. There is a lot happening in the near future, I have linked each of the following – Tasmanian Craft Fair. MOVE Japanese Art Exhib. Calligraphy class. 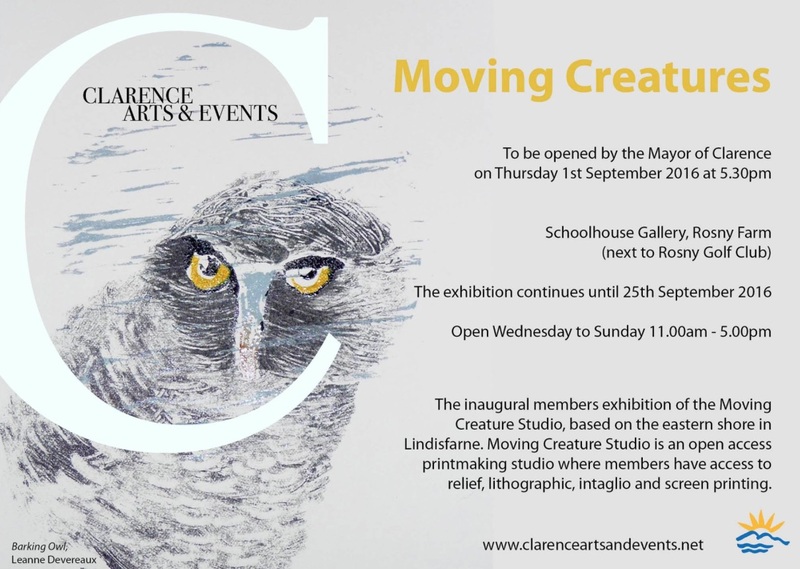 Moving Creatures Exhibition. 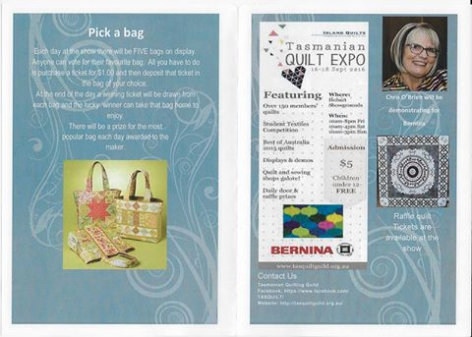 Tasmanian Quilt Fair. Sustainable Living Expo. 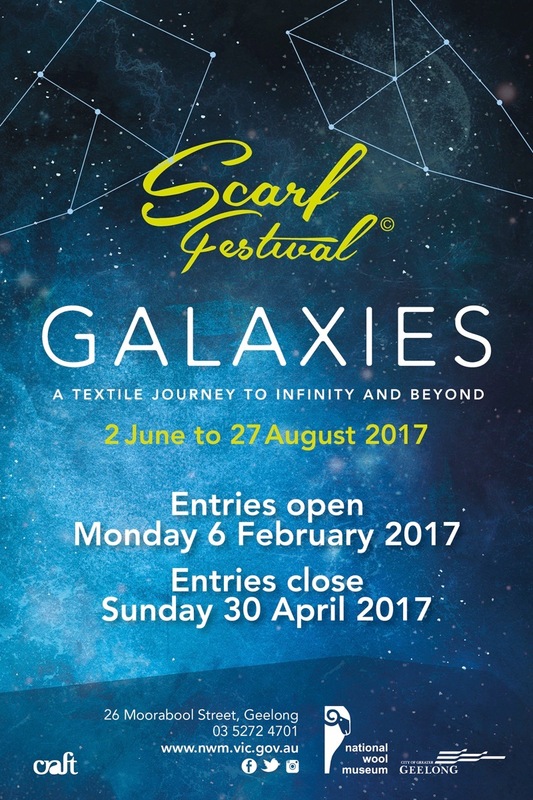 GALAXY Scarf Festival 2017. And may we encourage you to enter the Hobart Show and the Huon Show – your talents are amazing! Enjoy the photos – and if I missed one feel free to send me your pic to add, and if there is any info you want added, ditto, email me. Lesley’s WIP, will be a gorgeous felted piece sooner than later. Gorgeous little scarf by Jenny R, pattern is Nurmilintu, a free on Ravelry. Socks – Janet’s first socks! Joy’s cushion – yes, our chairs are COLD, we should all do this. Pauline’s bags – made from Men’s Ties!!! Lesley’s scarf – nuno felted – just last night! Anna’s basket work cuddling Valeri’s alpaca skeins.